Deep vein thrombosis is a blood clot located within a deep vein of the body, usually in the thigh or leg. The deep veins are the main blood vessels returning blood from the tissues of the body back to the heart. If a blood clot forms in a deep vein, it can block the flow of blood, which prevents the tissues from draining properly. This causes excess fluid accumulation, swelling, warmth and discomfort in the leg. A blood clot in a deep vein may also break off and travel back to the heart and into the lungs, causing a pulmonary embolism. Pulmonary embolism can be minor and go unnoticed, or it can be significant and cause difficulty breathing, sharp chest pain and even death. Less commonly, the clots can also travel through the heart and back to the rest of the body, including the brain. This is called paradoxical embolism. A blood clot that travels this way to the brain can be the cause of a stroke. DVT is different from a clot in a vein close to the surface of the body, such as a vein near the skin or in the calf. These superficial clots, while often uncomfortable, are usually not dangerous. DVT is typically treated with medications that lower the chances of new clots forming and allow the body to dissolve the clot over time. Symptoms of DVT usually occur in one leg. Pain, warmth and swelling are just some of the symptoms. Other symptoms include tenderness, discomfort and changes in skin color (bluish skin discoloration or redness). The pain often is below the knee — often in the calf — and may increase during standing or walking. However, many people with DVT may not show symptoms. If pulmonary embolism occurs, symptoms include shortness of breath and sharp chest pain that is worse with taking a deep breath. Lack of exercise or movement may predispose people to DVT. People who do not move for prolonged periods of time, such as those on a long plane flight or a cross-country drive, are at risk for DVT. It is important to change positions often; stand up and walk around at least once every one to two hours. Hospitalization: DVT most often forms when a person is hospitalized and on bed rest for a serious illness or surgery. Ten to 30 percent of medical and surgical intensive care unit patients have DVT within the first week of admission. As a result, patients who are subject to bed rest should follow an exercise routine that uses active and passive motion of arms and legs. A traumatic injury or surgery, especially to the legs or hips, may predispose people to DVT. This risk can occur as a result of trauma to the blood vessels or as a result of the long period of immobilization required after a major surgery or an injury such as a broken bone. Pregnancy and certain hormonal medications may predispose women to DVT. During pregnancy and for three months following childbirth, women are at an increased risk for DVT. Medications such as estrogen and birth control pills may put women at increased risk of DVT, especially those who are also smokers. Obesity: People who are obese may have other conditions that increase the risk of DVT. In addition, a number of obese people are less active, which may also increase the risk of blood clots. Certain inherited conditions may predispose people to DVT. 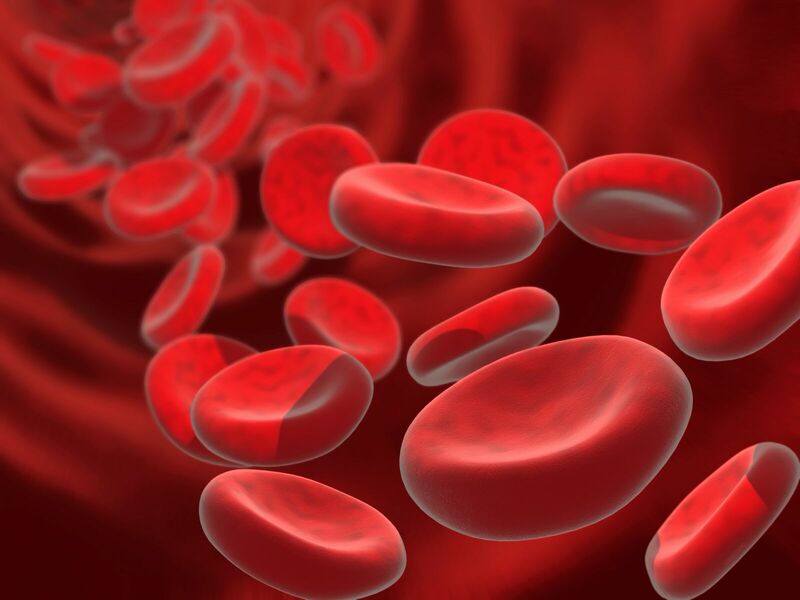 In order for blood clots to form and dissolve, certain factors in the blood are necessary. Some inherited conditions cause defects in these factors; individuals with these defects are more likely to form blood clots. Cancer: Those with certain cancers such as lung or breast cancer may also be at increased risk for developing DVT. If you are suspected of having DVT, you may undergo several tests to evaluate your veins and the tendency of your blood to clot. Imaging tests may locate the blood clot and confirm a diagnosis of DVT. Doctors can also analyze your blood to determine if it is likely to form clots. Move your legs: Prolonged sitting, bed rest and lack of movement increase the chance of blood clots forming in the deep veins of the legs. When you sit for long periods of time, move your legs by flexing your ankle up and down as though you are pressing the accelerator of a car with your foot. Repeat this exercise 20 times every one to two hours. Walk up and down the aisle of a plane every hour or two for a few minutes. If traveling in a car, pull over at a rest stop to stretch your legs every two hours. Increase your fluid intake when traveling in an airplane. People who travel in airplanes for extended periods of time have a tendency to become dehydrated. If you have a history of blood clots, dehydration may cause your blood to thicken, increasing your risk of developing DVT. To prevent dehydration, drink an 8-ounce glass of water every two hours. Avoid drinking too much alcohol and coffee when flying, as they are dehydrating. Wear elastic compression stockings: If you have a history of blood clots or leg swelling, elastic stockings reduce leg swelling and the chance of blood clots. The stockings must be worn snugly to offer support while ensuring adequate circulation. Stockings should not be worn for more than a full day at a time. They are available over the counter at surgical supply stores. If you suspect you may have DVT, seek the attention of a doctor immediately. Go to an emergency room if you have chest pain and shortness of breath, a sign that the blood clot has traveled from your leg to your lungs, which is a pulmonary embolism. Drug Therapy: If you have DVT you may be hospitalized or treated as an outpatient with anticoagulants such as heparin and warfarin. Heparin takes effect right away, while warfarin (Coumadin) needs a few days to take effect. Your doctor is the best source of information on the drug treatment choices available to you. Surgery: Clot-trapping filters can help in some circumstances. If you have DVT but cannot take anticoagulant medications, or if DVT occurs while you are already taking anticoagulants, a special, fine-mesh screen filter may be placed in the main vein that connects the lower body to the heart. The filter reduces the chances of blood clots that break off from the lower body entering the heart or lungs. The filter does not reduce the chance of a DVT forming, however, so if you are able to take anticoagulant medications, you should continue to do so after the surgery. For more information about the treatment of blood clots and deep vein thrombosis, call LifeBridge Health at 410-601-WELL (9355).